Cars’ digital dashboards can increasingly perform tasks with a single touch: make a phone call, launch Spotify or Pandora, display directions to your destination. Soon, we can add ordering pizza to that list. 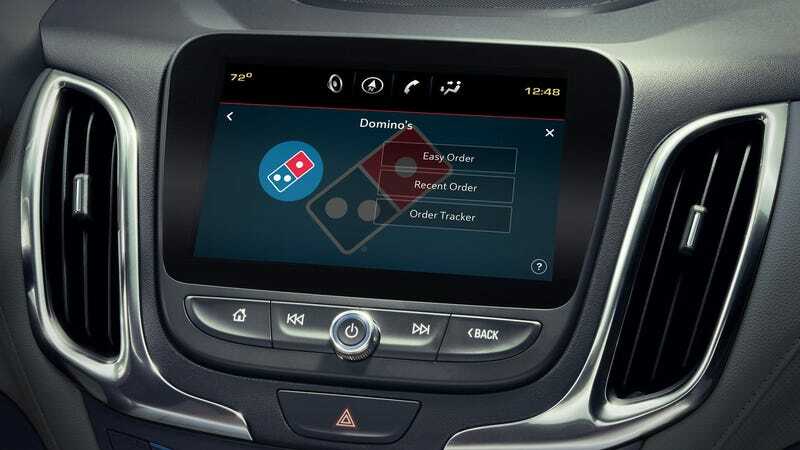 Domino’s announced yesterday it has partnered with Xevo Inc., “the global leader of in-vehicle commerce and services for automakers,” to automatically preload the AnyWare pizza-ordering app on millions of vehicles equipped with the Xevo platform later this year. Once a customer logs in, the app will allow customers to order from Domino’s with just a few screen touches. 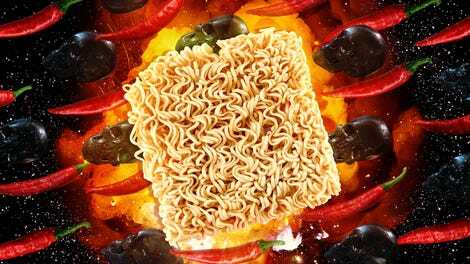 The screen will display customers’ “Easy Order” (a preset favorite order) or the customers’ most recent order, allowing them to order quickly without reselecting individual items. It will also display order tracking so a driver knows just how much time they have to get home before the pizza arrives, or allow the driver to order by phone from the touchscreen. Xevo is currently installed in about 25 million vehicles worldwide, per PYMTNS.com. With vehicle dashboards already programmed with apps like Google Maps, Pandora, Stitcher, Spotify, etc., why does this Domino’s app feel so different? Somehow it does. Playing music and looking up directions are tasks we expect to perform near-daily in our cars; perhaps ordering pizza is just the next logical step. After all, many remote controls that come with streaming sticks these days come preprogrammed with Netflix or Amazon buttons, and cross-tech promotions are everywhere. Remember when all new iPhones came with the new U2 album? This is surely less offensive than that disaster. We do have to caution drivers to stay alert while using the AnyWare app, because choosing between cheesy breads can be mighty distracting.